B.A., University of Texas, Austin, Texas May 1971. 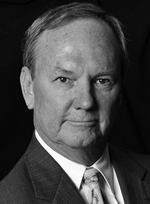 Principal – George A. Taylor, Attorney at Law, P. C., 1981 – present. 1974 – 1976, Assistant District Attorney, Bexar County, Texas. St. Mary’s Law Alumni Association, Elected Director 2009 – 2011. San Antonio’s Best Criminal Defense Lawyers, by Scene in SA Magazine 2006. 1st Annual SACDLA Nuts & Bolts Seminar, November 18, 2004: Introduction to Courthouse. President’s column, Defender Magazine, 2006 – 2007; The Silkwood Saga, August/September 2007, Defender Magazine. Board of Directors, Member and Chairman of Board of Trustees, Travis Park United Methodist Church.